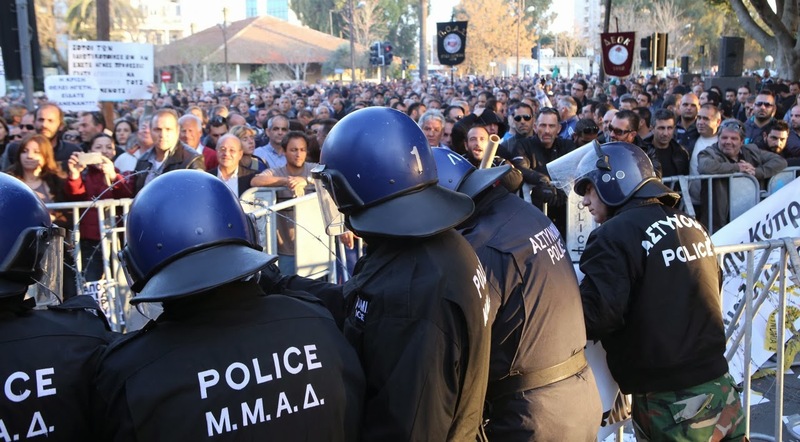 February 28th: The House of Representatives of the Republic of Cyprus has REJECTED the Bill to impose privatisation plans tabled by the Anastasiades government and governing Democratic Rally party. The privatisation plan was drafted by Cyprus' international..."inspectors" of the European Commission, the European Central Bank and the IMF, whose approval was demanded under the terms the Anastasiades government agreed with the Troika. 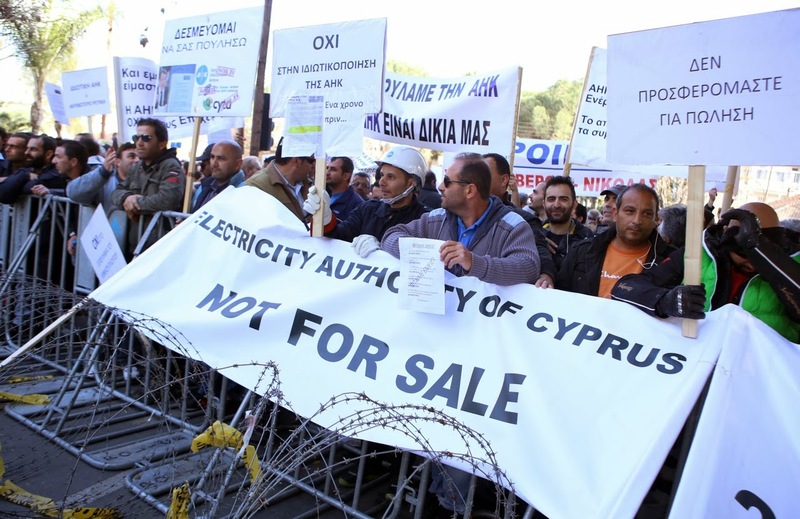 According to this shameful Bill, Cyprus was expected to privatise three major and indeed profitable public utility corporations, namely the Cyprus Telecoms Authority CYTA, the Cyprus Electricity Authority and the Cyprus Ports Authority. Despite all the relentless government propaganda and blackmail spread through the mass media, the Bill failed to get a simple majority with 25 for, 25 against and 5 abstentions, rendering the Bill null. 19 AKEL MP's, 5 Socialdemocrat party EDEK and 1 GREEN MP voted against. Outside the House thousands of workers and people demonstrated, following the 2 day debate. The government plans to re-submit the privatisation legislation in a new session of the House on Monday/Tuesday, again deliberately spreading alarm and fears. Speaking in the House debate Andros Kyprianou, General Secretary of AKEL, inter alia, referred to Anastasiades' written pre-election pledge he made concerning these organisations that he would not privatise them, whilst after his election he submitted the privatisation proposal himself to the Eurogroup. In recent years these organisations have given 2 Billion Euros to the state which would go to private capital if privatised, he said. Regarding the blackmail propagated that in case we reject the Bill Cyprus will not receive the next instalment, the GS of AKEL pointed out that it appears that there is a collusion between the Troika and the Anastasiades government to exert pressure/blackmail on the House.